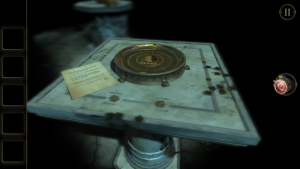 The Room was one of the best tactical puzzles that have been created for tablets, winning numerous awards, from both critics and gamers. In December came the sequel for iOS, and it is now finally available on the Play Store, supporting Android 2.3 and higher. This new release offers interesting improvements, such as cloud storage which allows us to play the same game on multiple devices. The characteristic unsettling atmosphere of the first version is maintained in this second release, but the playing field has been expanded to larger locations. This feature has given the puzzles new dimensions, where the mysteries are related and interwoven so that at all times we will face several enigmas simultaneously. While that expansion makes us not to focus so much on each object, the amount of detail is kept to the same high level of the first part. The game is, a graphical piece of art, whit textures and environments so realistic that completely surround us. It has a gloomy and mysterious feeling, with music that does not help us to relax, but manages to maintain an atmosphere of palpable tension. 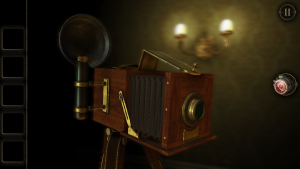 The possibilities of the touch screen are exploited as well as in the first release, and we can touch, slide, rotate the objects and examine them in multiple ways. The pieces of the puzzle fall into place as we move forward, and a hint system will help us to ensure that nobody is hopelessly stuck at any point. The Room Two is a bit longer than the first part, but it still just a few hours long. That leaves us with an overwhelming desire for more, something that the company probably will take advantage of in the near future. It is an absolutely worth game for $2.99. On the day that has been available on the Google Play, it has achieved a score of 4.9, something that not many games can boast about.